Pandya was characteristically quirky during a breathtaking cameo when batting, even hitting a spectacular helicopter shot in front of its main purveyor Mahendra Singh Dhoni. 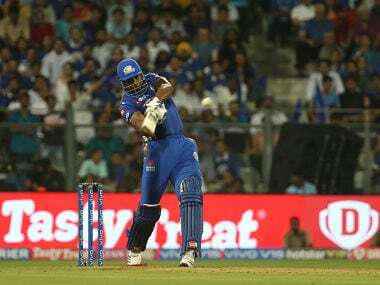 Put in to bat on a track that offered good bounce, Mumbai creamed 29 runs in the final over, with Pandya doing the bulk of scoring. He remained not out on 25 runs from eight balls, and was supported by Kieran Pollard who scored 17 runs from seven deliveries. The two all-rounders rescued Mumbai’s innings, which was floundering at 50/3 at one point. 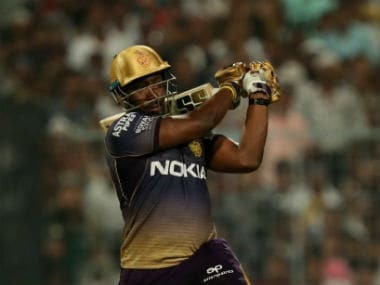 Suryakumar Yadav, who made 59 from 43 balls, and Krunal Pandya, who made 42, steadied the innings, getting the score to 125 in the 18th over, before Hardik and Pollard smashed towering sixes as they plundered 45 runs in the final two overs to post 170/5. Chennai Super Kings never really got going in their chase, losing wickets regularly. Suresh Raina, who looked in good touch, was sent back by a stunning one-handed catch by Kieron Pollard at the boundary, a sign of Mumbai’s red-hot form at home on a sultry Wednesday. Kedar Jadhav attempted to salvage Chennai’s innings, scoring 58 in 54 balls. 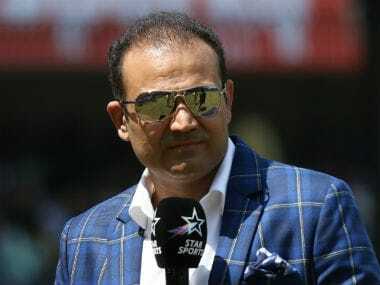 His partnership with Dhoni yielded 54 runs but Mumbai’s bowling and fielding was too good on the night. Hardik had Dhoni caught at square leg and sent back Ravindra Jadeja in the same over to leave Chennai tottering to 89/5 in the 15th over. 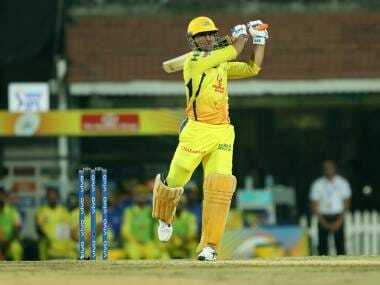 Lasith Malinga and Hardik Pandya bagged three wickets each while Jason Behrendorff took two wickets, ensuring CSK managed only 133/8 in their 20 overs. 28-year-old wicketkeeper Tom Blundell was the surprise selection in New Zealand’s 15-man squad for the 2019 World Cup, despite never having played the format at the international level. Interestingly, Blundell’s last appearance for New Zealand was in a T20 international against Australia in early 2018. He did not play a single game for Wellington in New Zealand’s domestic one-day competition this season. His surprise selection comes at the expense of Tim Seifert, who had been the preferred wicketkeeper in T20 internationals this summer, and made his ODI debut in January against Sri Lanka. Indian fans will remember the aggressive Seifert, who made very brisk scores of 84 and 43 while opening in the T20s against. Siefert then broke his finger towards the end of the season. While he would have recovered in time for the World Cup, questions had been asked about his work with the gloves. Gary Stead explained that he would prefer to select a specialist to back up Latham, who only assumed the role in the ODIs two years ago. Henry Nicholls had been previously mooted as a potential emergency wicketkeeper if Latham got injured, but is now expected to open the batting with Martin Guptill after Colin Munro fell out of favour. Munro still made the final 15-man squad with his ability to also bowl medium pace but is more likely to be batting cover. Ish Sodhi was preferred over Todd Astle as the second spinner, while Mitchell Santner is the first-choice slow bowler. Jimmy Neesham and Colin de Grandhomme were named as the all-rounders, while Trent Boult, Tim Southee, Lockie Ferguson and Matt Henry are, as expected, the four frontline pacers. Kane Williamson continues as the captain of the squad. Olympic and world championship silver medallist Sindhu, who is seeded fifth, staved off a spirited challenge from World No 20 Aya Ohori to win 22-20 21-12 . It was her sixth win over the Japanese player. Sindhu will now look to avenge her All England loss against Korea's Sung Ji-Hyun, whom she faces next in the second round. Eighth seed Saina Nehwal, who came into the tournament after recovering from a pancreatic infection, fought hard before going down 22-20 15-21 10-21 to Thailand's Pornpawee Chochuwong. In the men’s draw, India Open finalist Srikanth beat Indonesia's Ihsan Maulana Mustofa 21-18 21-16 in 38 minutes to qualify for the next round. He will play against Thailand's Khosit Phetpradab later today.